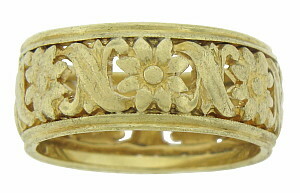 Exquisite floral cutwork dances across the surface of this 14K yellow gold wedding band. The central design is framed in a simple gold ribbon. 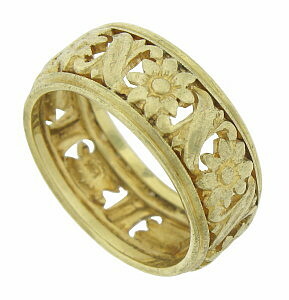 Intricate engraving details the organic design. 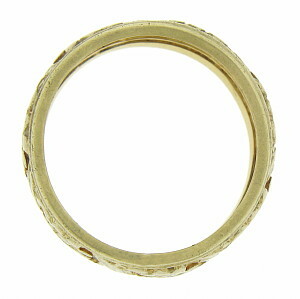 The antique ring measures 8.22 mm in width. Circa: 1915. Size 7. We cannot re-size.